Once you have been approved as a Community Portal User, you will be able to create an event request. Event forms are customizable, so the form you use to create an event may not include all components listed here. If you have questions about filling out the event form, contact your Community Administrator. In order to create an event you will first need to search for an available location. Once you have checked availability, you will be brought to the event form. Select your Organization. *Note: You will only be able to select Organizations that you have been added to as a member. Add a Summary. This will show in search results. If needed, check the box next to Add a Full Description. This allows for a longer description of the event, which can include text formatting as well as links. An event's location and time can be selected in four different ways. Search for availability by location, or by date and time, and then determine if your event will only last a certain number of hours, or if the location should be reserved all day. *Note: An All Day event is from 12:00 AM to 11:59 PM for each day the event occurs. Each of these ways allows you to choose between a single event occurrence, or a repeating event series. Search for the location needed by typing the name in the Location field and selecting it from the drop down. Click Add Another Location if you need more than one Location selected for the event. To add a location that isn't listed, click Add a Custom Location and enter the name of the location needed. Once the locations are selected, the Date & Times Available For The Selected Location(s) will populate any time slots that are already reserved. Navigate to the start date needed for your event. Select the time you need by clicking on the appropriate start time on the calendar. Drag the time slot to be the appropriate length. *Note: Any times that are unavailable will show with a block marked Reserved. This means the time has been booked with another event. If your event will repeat, click on the pencil icon next to Multiple-Day Options. *Note: This option will only appear after you have selected a time on the calendar. Choose between Consecutive Dates and Non-Consecutive Dates. If you chose Consecutive Dates, choose how often the event repeats, and when the event series ends. After choosing the event pattern, the Events in this Series will populate. Any necessary adjustments can be made here before saving, including the event name, date, or time of an individual event. If you chose Non-Consecutive Dates, click on the dates on the calendar you need for your event series. Then make any necessary adjustments to date, time, or event name for the individual events. Some events may be marked as a Conflict. You can choose to skip those conflicting dates, or leave them in the series. *Note: If you choose to skip any dates that are marked as a conflict, they will be deleted from the series. Check the box next to Allow unskipped conflicts if you would like to allow double booked dates to be included in this event series. Do not publish the end date/time: Select this option to display the start date and time of the event, but not the end date and time. An end date and time are still required to publish the event, but you may want to hide that information if you are unsure of the event end time, such as with a sporting event. This is a Featured Event: Choosing this option will prominently feature the event at the top of your calendar. Featured events must occur within the next 30 calendar days to be displayed, and must have an event image. By default, the next four featured events will be displayed on the calendar page. Specify Publish Date/Times: Determine when the calendar event should appear on the calendar and when it should be removed from the calendar. If the time zone for this event varies from the default time zone, select it from the drop down. Choose whether this is a Public Event, Private Event, or Unlisted Event. If applicable, enter the Setup and Breakdown time needed for your event. This prevents others from booking over the setup and breakdown time, while the event on the public calendar will only display the actual event start time. Check the box next to All Day. Navigate to the appropriate month on the calendar. Click on the start date needed for this event. If your event will repeat, click on the pencil icon next to Multiple-Day Options. *Note: This option will only appear after you have selected a start date on the calendar. If you chose Consecutive Dates, choose how often the event repeats, and when the event series ends. After choosing the event pattern, the Events in this Series will populate. Any necessary adjustments can be made here before saving, including the event name or date of an individual event. If you chose Non-Consecutive Dates, click on the dates on the calendar you need for your event series. Then make any necessary adjustments the date or event name for the individual events. In the Choose By drop down menu, select Date & Time. Select the time you need by clicking on the appropriate start time on the calendar. Drag the time slot to be the appropriate length. Use the search bar or the list of locations to check off the location(s) you need for your event. Only locations available during the requested time will appear in this list. Categories and keywords allow you to classify your event to make them easier to find when visitors search your site. Choose any Category that applies to this event. Visitors will be able to search and filter events based on categories. Enter any Keywords or tags that visitors may use to search for your event. This is where any Custom Event Fields will show for this Site. This could include text fields, a checkbox field, or a multiple choice field. 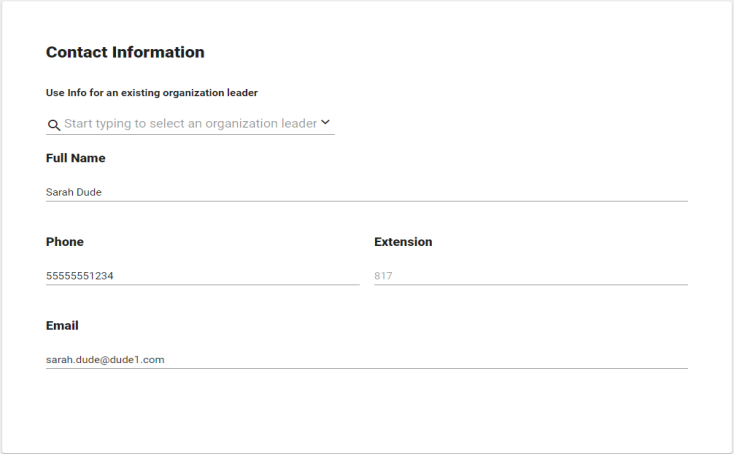 These additional information fields can be configured by an administrator on the Event Setup page. Required fields are marked with an asterisk (*) symbol. Either select an existing organization leader if applicable or enter the contact information for the event coordinator or person whom visitors can contact with questions about the event. *Note: This information is publicly displayed for each event. You can upload up to 5 pictures to an event, each with a maximum size of 3MB, and you can add up to 10MB of attachments. *Note: There are several different places the Event Image will display: the Highlighted Events area, the Event Summary view, the Event Details view, and the Location view. Each image should have an aspect ratio of 1.6: 1 in order to scale properly in all views. For example, an image that is 1600 x 1000 pixels will scale properly throughout Event Publisher. Upload an attachment by locating the file on your computer, or pasting the attachment URL in the text field. Click Choose From Library to find an attachment that has been added to the Event Publisher media library. If you have multiple images for an event, click on the star icon in the top left corner of an attachment to select it as the Default for the event. This is the image that will be used in the event listing. Click the T icon to edit the alternate text that will display when a user hovers their mouse over the attachment. It is also used by visually impaired web browser assistance applications for WCAG conformance. Click the trash can icon to remove an attachment from the event. A Sale Item can be a physical item being sold for the event, such as a T-shirt, or a registration item, such as an admission ticket. Click the Add a Sale Item button. If this item is an Add-On, select that option. An Add-On item can only be purchased if a separate item is also being purchased. Choose the sale item this Add-On is dependent on. *Note: You must add the Stand-Alone item prior to adding the Add-On item. If you would like to use a sale item template, select it from the drop down menu. This will populate any field that is included in the template. If you would like this sale item to include ticketing so attendance can be tracked, check the box next to This is a registration. The tickets will be emailed to the user, and will include a QR code so the ticket can be scanned. Enter an Item Description. This should provide more detail than the Item Name. Enter the Quantity Available for this item. If there is a Cost associated with this item, enter the amount. If you would prefer to accept donations, check the Donation box. Enter any applicable minimum and/or maximum donation amount. When accepting donations as payment for a sale item, a minimum donation amount may help ensure that event costs are covered, and a maximum donation amount may help avoid donation limits for a non-profit organization and reduce the risk of accidentally large donations. By default, the sale item will be Available as long as the event is published. If you would prefer, select Specific Availability to determine a time period prior to the start of the event that you would like this item to be available. If that is all the information you would like to enter for this sale item, click the Save button. Otherwise, move on to the next section. Click on the Pictures tab. Upload a picture by locating the file on your computer, or pasting the image URL in the text field. Click Choose From Library to find an image that has been added to the Event Publisher media library. Click on the Questions tab. If the sale item is a Registration, then First Name, Last Name and Email Address will be required questions by default. Check the Include box next to any other questions you would like the user to answer from the list of Available Questions. Click the Add a Question button to create a question that is not yet in the list. Select the question type from the drop down menu, then type the Question text. *Note: Only questions that have been added this way are able to be edited. There are two ways to add a question to the list of Available Questions for a Sale Item. Adding a question directly from this page will make that question available for any sale item attached to this event. Use this option if you do not need the question to be available for other events. Adding a question to the question library in Sale Item Settings will make that question available for all sale items across all events moving forward. If you want to use this question again for a later event, use this option. Enter the amount of time prior to the start of the event that will serve as the Cancellation Deadline. By default, this will be 24 hours prior to the start of the event, but can be set up with units of minutes, hours, days, or weeks. By default, when an item is sold out, the system will Display a sold-out message. Enter your desired sold-out message in the text field. If you would prefer, you can choose to Put registrants on a waitlist. Choosing this option means that there will be no Sold-Out message, but instead a user will be able to add themselves to the waitlist. This list can be managed from the event’s registration Dashboard, where an administrator can process a wait-listed user’s registration manually if a spot becomes available. Enter a Category for this sale item. These Categories can be set up in Sale Item Settings. Once you have entered all necessary information for this Sale Item, click Save. You have two options when attaching a survey to an event: selecting a survey that has already been created, or creating a new survey from a template. To attach an existing survey, be sure the Select existing survey option is selected. Use the Choose a Survey drop down menu to locate the survey from the list. Choose the time frame after the event that the survey will Activate and Deactivate. *Note: Active surveys can be answered by anyone with access to the survey link. If this event included registration, check the box to Email Registrants a link to this survey when it is activated. To create a new survey, select the Create a new survey from a template option. Use the Choose a Survey Template drop down menu to locate the template you wish to use. When you have finished entering all necessary information on the event form, click the Submit button at the bottom of the form. In the pop up window, click Save.